We’ve given you previews of some of the upcoming events for the 2016-17 season. But we wanted to get them all in one place, too! So here’s the full listing, and we’ll update any to-be-confirmed info as soon as we have it. We’re looking forward to seeing you at these upcoming events! For Evening Group or weekend activities: Please RSVP on the event’s Facebook tab or send a message to hello@kcaoii.com (unless otherwise noted). Noon-2 p.m., Kingswood, 10000 Wornall, Kansas City, MO (villa of Sarah Lowry). Nara has been voted Best Ladies Night in K.C. for three years in a row! Live music starts at 6, and the menu consists of $3 sushi rolls, $5 hot pretzels or appetizer platter and $5 martinis. RSVP via Facebook.com/kcaoii/events or hello@kcaoii.com. We’ll help out a senior citizen or two who aren’t able to handle their autumn lawn chores. Bring your rake, blower, gloves and trimmer and spend a few hours in the autumn air while you burn off a few calories. (We typically gather at a local watering hole afterward.) Details to come. See the Facebook event page: Facebook.com/kcaoii/events. Start your holiday shopping early! We’ll have a fun night of shopping, champagne & other treats at the Kendra Scott store on the Country Club Plaza, with 20% of all purchases going towards the KCAOII Jingle Bell Run team & the Arthritis Foundation. Join us at the store from 6-8pm to make your purchases and Invite friends and family, as anyone who shops in store that night helps our cause! You can also call in that night and place your orders over the phone. If you are calling in, make sure to mention you want your proceeds to go to the Arthritis Foundation. Jingle Bell Run is a fun annual event supporting the Arthritis Foundation. Join the KCAOII team at http://bit.ly/29NpDl2. Coming from out of town and want to take part in the Jingle Bell Run AND Founder’s Day? No problem! We’ve got sisters who live near our lunch venue whose homes will be available for showering/changing clothes. Send a note to hello@kcaoii to let us know you’d like to take advantage of their hospitality! 1-3 p.m., Matt Ross Community Center, 8101 Marty St., Overland Park, KS (Cottonwood Room). 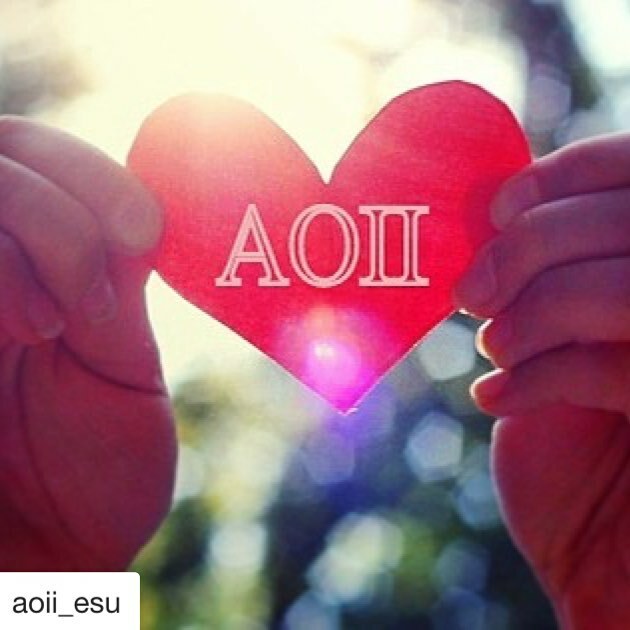 Celebrate the incredible achievements of AOII and its founders! Main dish and beverages provided. RSVP and let us know what side dish/dessert you’ll be bringing at Facebook.com/kcaoii/events or send a note to hello@kcaoii.com by Wednesday, Dec. 7. Dine on a gourmet lunch followed by a selection of delectable Swiss pastries. Then indulge in some chocolates (and more pastries!) to take home. Please RSVP at Facebook.com/kcaoii/events or send a note to hello@kcaoii.com. Last year’s event raised $6,000 for scholarships. (AOII silent-auction items raised $228!) Want to donate an item for this year’s auction? Attend the luncheon? Contact Kim for details at 5bkcnb@gmail.com. Mark your calendar now and then look for details to come about joining the AOII walking team or volunteering at the event! Stay up to date at Facebook.com/kcaoii/events. Look for details to come about our end of the year event where we kick off summer! Stay up to date at Facebook.com/kcaoii.